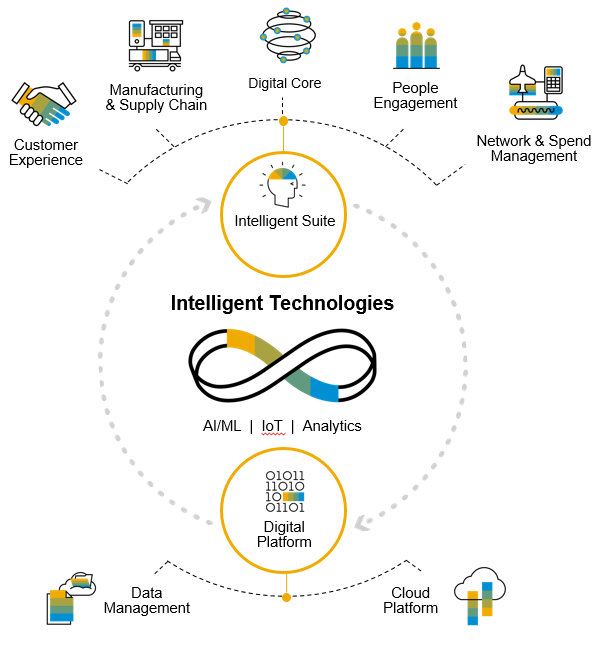 Enabling the Intelligent Enterprise means leveraging the best in-class technologies to fast-track your digital transformation to run your business more efficiently. SAP Leonardo paves the way for this transformation through our agile design thinking methodology together with our intelligent technologies. 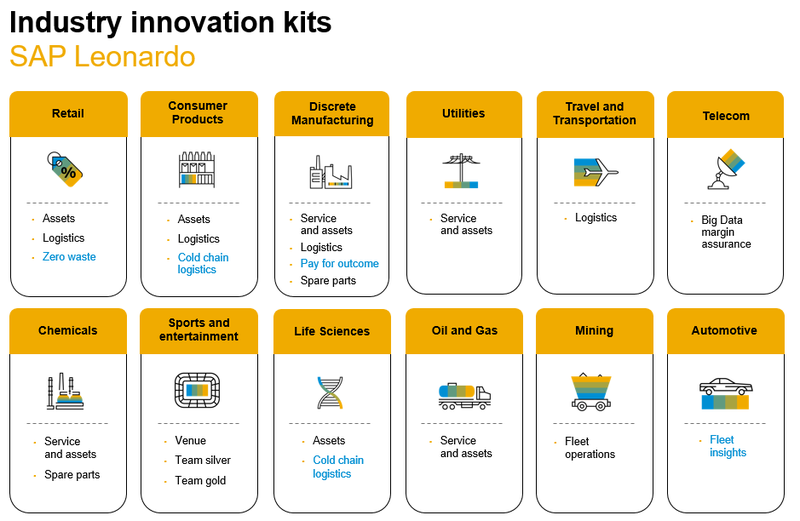 With SAP Leonardo Industry Innovation Kits, SAP provides customers with pre-integrated capabilities that accelerate solving of critical industry problems. They consist of proven methodologies with leading-edge technology and expertise bundled together and tailored to specific industries. Similarly, partners are also building SAP ICC certified pre-integrated industry accelerators for customers to address critical industry problems. Through the SAP Leonardo Medallion program, SAP System Integrator (SI) partners are enabled with the necessary tools and resources to identify opportunities and build pre-packaged industry accelerators. Certified partner-built Industry Accelerators follow SAP best practices by incorporating design thinking methodologies to help customers get to the root of the problem and come up with the best solution to meet the needs in their environment. SI partners leverage multiple SAP Leonardo technologies to develop industry-specific accelerators on the SAP Cloud Platform. Combining a design-led approach and intelligent technologies with industry innovation services and expertise, partners are able to build pre-integrated accelerators that can be implemented in 6-8 weeks. There is no need to search for different solutions to solve a problem and look for the right people to integrate them so they work in concert with one another. Customers are presented with a targeted accelerator to address their problem that is combined with the necessary licenses and services for the implementation of the industry accelerator. Certified SAP Leonardo Partner Industry Accelerators eliminate the need to implement multiple solutions, reducing the risk for a customer while providing better results for their business process faster. They help customers accelerate time to value while achieving a competitive differentiation at one fixed price. The SAP Integration and Certification Center (ICC) offers the Leonardo Industry Accelerator Certification scenario for partner-built Leonardo Industry Accelerators. Certified partners accelerate customer success with SAP Leonardo technologies and are promoted to the SAP field with standardized pricing for customers and listed in the SAP Certified Solutions Directory. To learn more about the Leonardo Medallion program, please contact SAPLeonardoMedallion@sap.com. To learn more about certified Partner Industry Accelerators – powered by SAP Leonardo, please contact icc-info@sap.com.